Teddy Foster, campaign manager at Universal Preservation Hall in Saratoga Springs, says they have reached 90 percent of the $5.5 million fundraising goal for refurbiushing the venue. As much as Saratoga is famous for its horse racing, it’s equally known for its appreciation of the arts. The transformation underway at the Universal Preservation Hall is testament to that. According to Teddy Foster, campaign manager for the renovation project, the entire Capital Region will be able to see, hear and feel that appreciation at what is promising to be a unique entertainment venue. 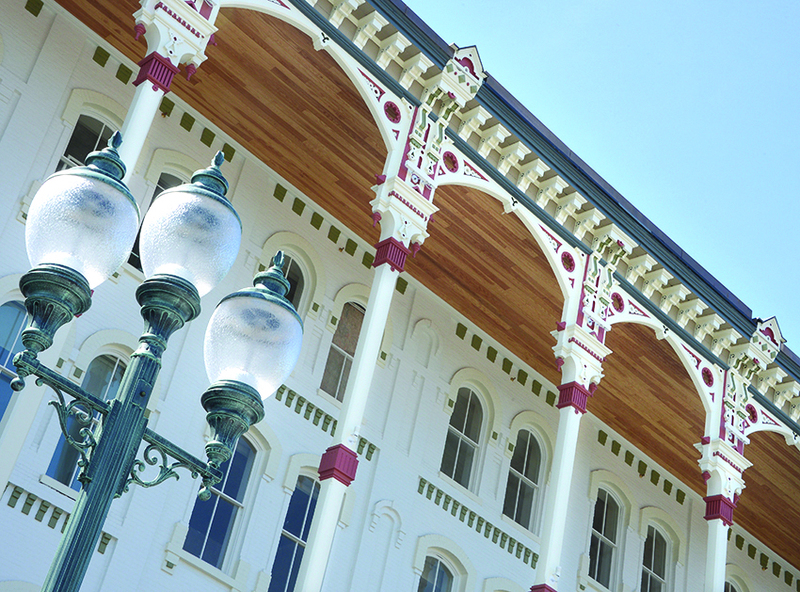 It is expected to have a profound effect on downtown Saratoga. “This hall, that already serves so many through so many events, will be turning into a spectacular theater that will seat 700,” said Foster. Foster said they have reached 90 percent of their $5.5 million fundraising goal. Four years ago, Foster formed a partnership with Philip Morris, CEO of Proctors Theater in Schenectady to move the project forward. Morris said as renovation happens, Foster will become the director at UPH, with programming, finance, marketing and other administration done by Proctors staff. The construction project “will create a beautiful performance and community space,” said Morris. Foster said the space will become a perfect spot for music events and cabaret-type shows. She said adding this element of entertainment to downtown will provide a piece that many are looking for. “This allows a chance for many to grab a drink or dinner and then be able to walk to a concert or show–all downtown,” said Foster. Foster said they anticipate the hall to bring in over 65,000 visitors in the first year alone. She said people can expect the same high-quality entertainment they enjoy at Proctors. With the first phase of renovations drawing to a close, owners of the historic Adelphi Hotel on Broadway in Saratoga Springs are expecting to re-open the hotel on Saturday, July 1. The iconic Adelphi Hotel, which has graced Broadway in Saratoga Springs since 1877, finally has its grand reopening in view after a three-year process of renovation, restoration and redevelopment. According to Toby Milde, a partner with Adelphi Hospitality Group, when the consortium purchased the building four years ago it always intended to run the hotel as-is for one season. But then the group would begin rolling out plans to transform the Adelphi into a first-class hotel and destination for guests from around the world. There were many snags to overcome along the way that delayed reopening for months. “The project kept growing as we recognized that the structural integrity of the building had been compromised, due to age and to some alterations that had been done by prior owners without the benefit of an engineer,” said Milde. The long-range goal was to keep the historic structure operating as a hotel and to bring in “first-class food and beverages to enhance a visitor’s hotel experience,” said Milde. To that end Adelphi Hospitality Group, whose first project was the Salt and Char restaurant next door at 353 Broadway—and who also own a hotel outside Washington D.C.—brought in exceptional international talent to tackle unique challenges, he said. Phase one of renovation was have the refurbished rooms available to guests, open the restaurants to the public and make available a banquet facility seating up to 190 people. The Chamber of Southern Saratoga County awards celebration at the Hilton Garden Inn. 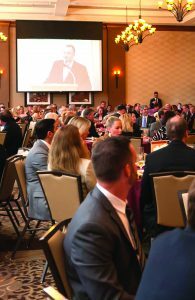 The Chamber of Southern Saratoga County held its 50th annual awards celebration on April 26 in front of a packed house at the Hilton Garden Inn in Clifton Park, the community where the organization got its start in 1967. 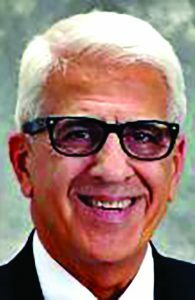 For their signature event, the Chamber presented seven awards for excellence to its members, out of a record 30 nominees and 1,500 votes cast, said Pete Bardunias, Chamber president and CEO. The Connors Agency of Mechanicville took the Endurance Award for longevity while CAP COM Federal Credit Union won the Inspiration Award. Field Goods of Hudson received the Innovation Award for region-wide impact, and CDPHP took the Strong Community Award. The 2016 Ambassador of the Year was Donna Connor of On The Go Concierge & Events, for her dedication as a volunteer of the organization. Mike Russo of GlobalFoundries presented the Entrepreneurial Success Award to Louise McManus of Vischer Ferry General Store, the only business located in that hamlet, first erected in 1787. David Bejou, dean of the College of Business and Social Sciences at West Virginia State University and a tenured professor of marketing, was appointed provost and executive vice president for academic affairs at SUNY Empire State College. Bejou will be responsible for the academic enterprise of SUNY Empire State, headquartered in Saratoga Springs, including the education of nearly 19,000 students learning at 34 locations throughout the state, at eight international locations, face to face, online and through a blend of all these modes, at the associate, bachelor’s and master’s levels. For the past 25 years, he has served public higher education in academic and administrative leadership roles of increasing responsibility and complexity. His nearly 18 years at the Historically Black Colleges and Universities of West Virginia State University; Elizabeth City State University, Elizabeth City, N.C.; and Virginia State University, Petersburg, Va., have provided him with an appreciation for institutional missions. This experience building and accrediting undergraduate, master’s, and doctoral degrees provides a valuable breadth of academic experience, college officials said. “I am honored, privileged and elated to join SUNY Empire State College and look forward to working with President Hancock, the college’s senior leadership team, its highly dedicated faculty and staff and motivated students, so that together, we will meet and exceed students’ diverse learning goals,” said Bejou. The Adirondack Trust Co. has appointed Mary Gavin as a new member to its board of directors. Gavin is certified public accountant and a principal of Gavin and LaVigne Inc., a firm offering capital financing to hospitals and nursing homes. She represents hospitals both locally and nationwide in their financing transactions. In her role as president and CEO of the firm, Gavin is responsible for strategic planning and management of client relationships. Gavin has also held fundraising, leadership and board positions with Saratoga Care Foundation Inc., Saratoga Hospital, Saratoga Central Catholic School, Flower & Fruit Mission of Saratoga Hospital, Committee on Healthcare Financing and Adirondack Trust Co. Community Fund as former chairperson and advisory committee member. Jenifer Marten was promoted to vice president and commercial relationship manager at Ballston Spa National Bank. Marten is responsible for managing commercial banking relationships. She joined the bank in 2005 as an assistant vice president, retail sales manager and was promoted in 2014 to assistant vice president, commercial relationship manager. She received a bachelor’s degree in marketing and management from Siena College and an associate’s degree from SUNY Cobleskill for business administration. Active in the community, she is the 2017 board chairperson for the Chamber of Southern Saratoga County. As a long-time volunteer with the Chamber, she led the Women in Business committee in 2015 and 2016 and was the driving force behind the Baskets of Hope program. This program benefits Wellspring and its mission to end domestic violence and relationship abuse in Saratoga County. Marten also serves as den mother for her children’s Cub Scout troop. Sandra Losee was named assistant vice president and business development officer at Ballston Spa National Bank. Losee will be responsible for developing relationships with business prospects and customers in order to generate, retain and expand lending and deposit services. Losee will work from the bank’s new full service branch at 1973 Western Ave. in Guilderland, which is slated to open later this spring. With over 20 years of previous experience in the banking industry, she was most recently a branch manager at First Niagara Bank. Active in the community, Losee is the treasurer of the Western Turnpike Kiwanis. 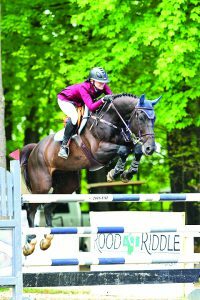 The 40th Saratoga Springs Horse Show is running through May 22 at Yaddo. The Capital Fund of Saratoga County Inc. is presenting the 40th Saratoga Springs Horse Show on the grounds of Yaddo. It is the final year of the event at that venue. The venue is located at 305 Union Ave., Saratoga Springs. Next year the show will move to a new venue, allowing options for future expansion of services to exhibitors. To that end, the management of the Saratoga Springs Horse Show is presently vetting several locations in and around Saratoga Springs for 2018 and beyond. Competition started on May 3 and takes place Wednesday through Sunday of each week, through May 21. Warm-up and first competitions begins between 7:30-8 a.m. Most competitions are over by 5 p.m.
Daily admission on Friday, Saturday and Sunday is $4 per person, 12 and older. Admission is free on Wednesday and Thursday. The admission booth will be manned by three different charities who will get to keep the admission receipts for their programs—the Saratoga Race Track Chaplaincy; Tears Foundation, Saratoga Chapter; and Angel Names Association of Saratoga. Each day a “charity of the day” will be selected and all tips and donations given at the food tent, souvenir area and bistro will be given to that charity. This year the featured events include the $30,000 Saratoga Cup Grand Prix on May 7, the $30,000 David B. Wood Cup Grand Prix on May 14 and the $15,000 Steve and Yvonne Sullivan Cup on May 21. Each of those events will begin approximately 3 p.m.
Cudney’s Launderers and Dry Cleaners Inc. changes ownership. Joyce Ure will oversee its five locations, including this one on South Broadway, Saratoga Springs. 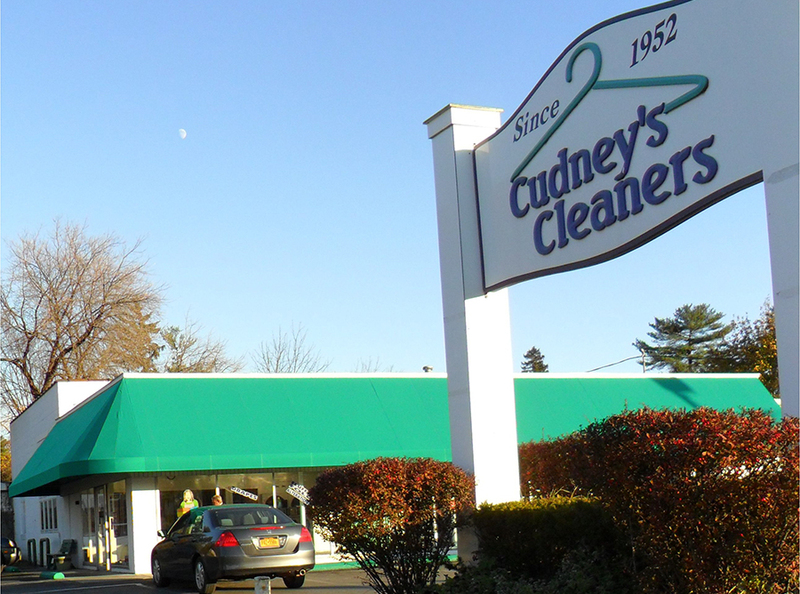 Cudney’s Launderers and Dry Cleaners Inc. has a new owner, but she is no stranger to the business. Joyce Ure, former vice president and general manager, took over as president and owner on April 14. She plans to continue the Cudney tradition of service and community involvement. James Cudney, a Saratoga native, entered the laundry business in 1952 when he rented a small location on Lake Avenue that had just four washing machines. The company grew over the years and now has a freestanding plant, four storefronts, two laundromats and a home and business delivery route. Lynette and her husband, Dan, had been operating the business since 1997. Ure joined the staff that same year as the assistant bookkeeper. Ure said she will continue on the path set forth by the previous leadership and stay at the forefront of the technological advancements in the industry and continue in the eco-friendly, community-minded ways of the Cudney and Whaley families. 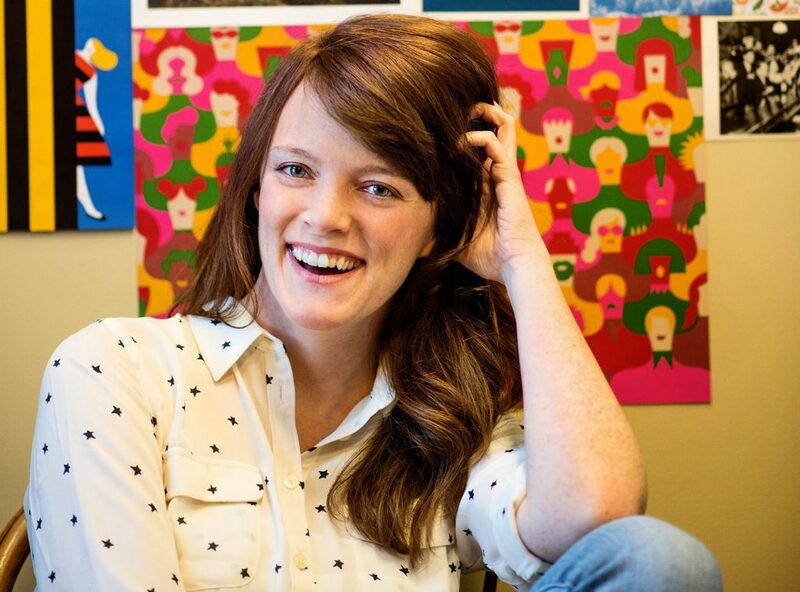 Kate Byrne, a Saratoga native, opened Kate Byrne Design, which specializes in branding materials and identity systems spanning both digital and print mediums. Kate Byrne Design, a branding and graphic design studio opened for business in early March at 74 Warren St. in downtown Saratoga Springs. Byrne specializes in branding materials and identity systems spanning both digital and print mediums, including logo design, business stationery, posters, social media and web design. Her work uses visual narratives aimed at creating powerful first impressions that communicate with audiences instantly and effectively. Her studio is co-located with a local print shop, Advantage Press. The partnership allows clients to follow the project development cycle from initial creative concept to final production, and provide input throughout the entire design process, she said. A Saratoga native, Byrne worked for several years at Burton Snowboards in Burlington, Vt., before deciding to open a new business in her home town. Colin Cowie, right, poses with Maureen Baringer, who works in his Saratoga office. Colin Cowie Lifestyle, an event production service, has opened an office in Saratoga Springs. The company has added Saratoga to a list of existing offices in New York City, Los Angeles, Las Vegas and San Francisco. Its office is at 60 Railroad Place, Suite 301. Cowie’s dossier reportedly includes some of the most talked about parties and events around the world. His event orchestration has led him around the globe, delivering services ranging from royal weddings to product launches and things in between. According to the company, Cowie’s career has taken him over 13 million travel miles in an array of partnerships with hospitality providers and real estate developers. Cowie is already respected for his role in several private events in the region. The traffic brought in by the racetrack and surrounding amenities has proven to draw several destination weddings and events from all over the east coast, providing ample opportunity for the tasteful elegance he has been known to deliver to clients. Cowie has also planned events in the Finger Lakes region. 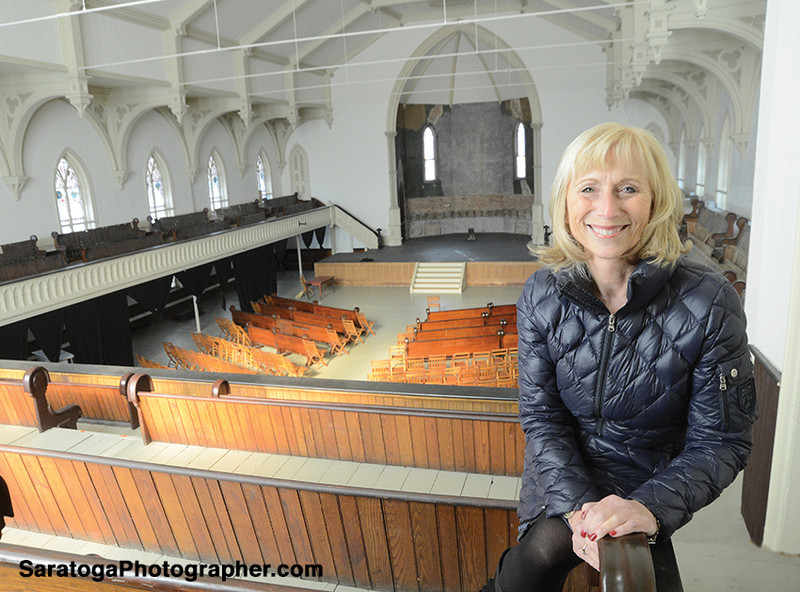 At the helm of the expansion to Saratoga Springs is Maureen Baringer. She will serve as regional business development director for Colin Cowie Lifestyle in Saratoga Springs, Lake George, Lake Placid and the Finger Lakes region. Baringer began working with Cowie in 2016, when he was hired to produce her daughter’s wedding. 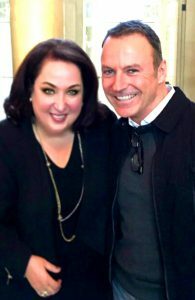 Baringer is the founder and president of Baringer & Associates, an events planning company that has worked throughout New York state for over 23 years. Land Remediation Inc., which provides environmental remediation and other specialized services in the Capital Region and the Northeast, opened a headquarters at 74 Hudson River Road. Land Remediation Inc., which provides environmental remediation and other specialized services to customers in the Capital Region and the Northeast, opened its new headquarters and operations facility at 74 Hudson River Road in Waterford on April 14. Company officials said the $1.8 million project creates and retains more than 40 jobs and enables collaboration with a hub of businesses within Saratoga County. Land Remediation worked with the Saratoga County Prosperity Partnership to re-purpose a long-vacant industrial site, a former service center and auto salvage yard. 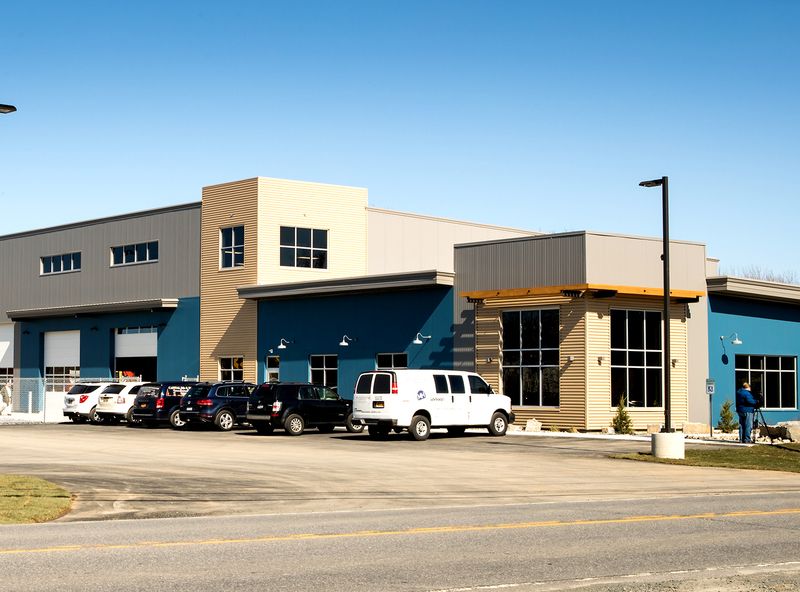 The newly constructed 15,000-square-foot building includes space for office and administrative functions, warehousing, manufacturing and fabrication. It also has outside storage and parking for specialized equipment and other supplies. Land Remediation officials said they expect to hire at least 12 new employees, with an average annual salary of $60,000, over the next three years, adding to its current 29-member workforce of engineers, equipment operators, laborers and office staff. Additionally, the new facility has enabled the attraction of another company to Saratoga County, Winn Construction, which has set up offices in the building, officials said. Through a program offered by the Saratoga County Prosperity Partnership, Land Remediation is the first company to receive a refund of nearly $7,000 for a portion of fees incurred for processing of its funding application with the Saratoga County Industrial Development Agency.